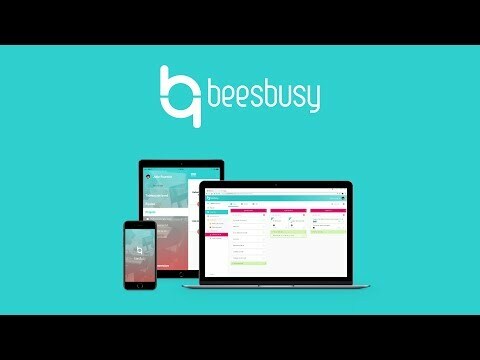 Beesbusy is a tool that helps you organize your daily life, manage your projects and list your tasks. It enables teams to work smoothly together by allowing for each member to easily communicate, share information and stay in touch with projects. Beesbusy’s user-friendly interface is designed to allow each user to easily organize whatever they want. Without any preliminary set-up, you can create an account and start managing your tasks and projects right away. Beesbusy is available on web browsers, tablets and cell phones. Beesbusy offers advanced features which allow project management by members of a team, whether from the same company or including outside co-workers. These features also include multiple views to allow each user to quickly choose how to organize his/her work. Beesbusy is also a to-do list tool, which allows you to quickly plan upcoming tasks or to write down any set of elements (ideas, reminders, shopping list…). This aspect is useful, for instance to organize daily tasks within a support department, as they don’t always need advanced planning features. You may also synchronize Beesbusy with your Outlook/Google calendar, which allows for better time management and an optimized schedule. In order to help you organize your daily tasks more efficiently, Beesbusy lets you categorize your projects between two criteria: professional or personal. This way, you can manage everything with one single tool, form your office or anywhere else.